← Notes for a Memoir: Asbury Harpending, Jr. This is how I remember the grandfather I never knew. His long-lived sister-in-law, my great-aunt Genevieve, and his son, my father, always spoke of him in consonance with the above words Helen Cassimus composed for his obituary. I only recently came to know of the Greek word philotimos and this further, if less floridly, describes what I had heard of Alexander. How did it come about that this citizen of Greece, a trained lawyer, and working diplomat should meet and marry the dreamy aesthete, poet and scholar, Clara Lucille Harpending, one of two indulged daughters of the wealthy San Francisco speculator and promoter, Asbury Harpending Jr.? 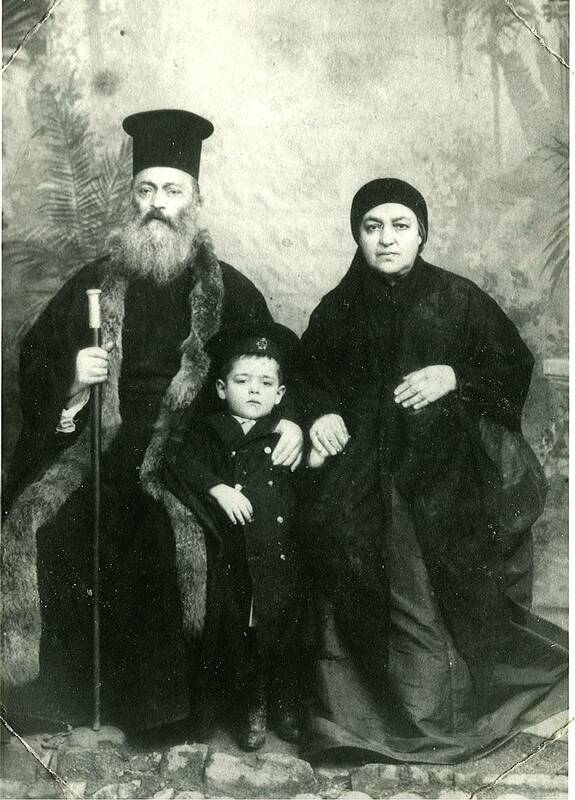 Alexander was born, 1876, in Nafplion, Greece as one five children born to Konstantinos Pavellas, a Greek Orthodox priest, and his wife Theofonia Smirtis Pavellas. In viewing this family portrait I speculate that Alexander was the youngest of his four siblings, three male and one female, similar to his future father-in-law who, as the youngest of 11 children, left his Kentucky home at age 16 for the golden lure of California in 1857. Alexander arrived in San Francisco, as the Acting Consul-general of Greece in San Francisco, around 1900 during a period of political turmoil in his country. Greece was a constitutional monarchy since 1864, but there was great ferment to establish a democratic republic, led by the heroic Cretan Eleftherios Venizelos who eventually became prime minister in 1910. Alexander was an ardent supporter of Venizelos. 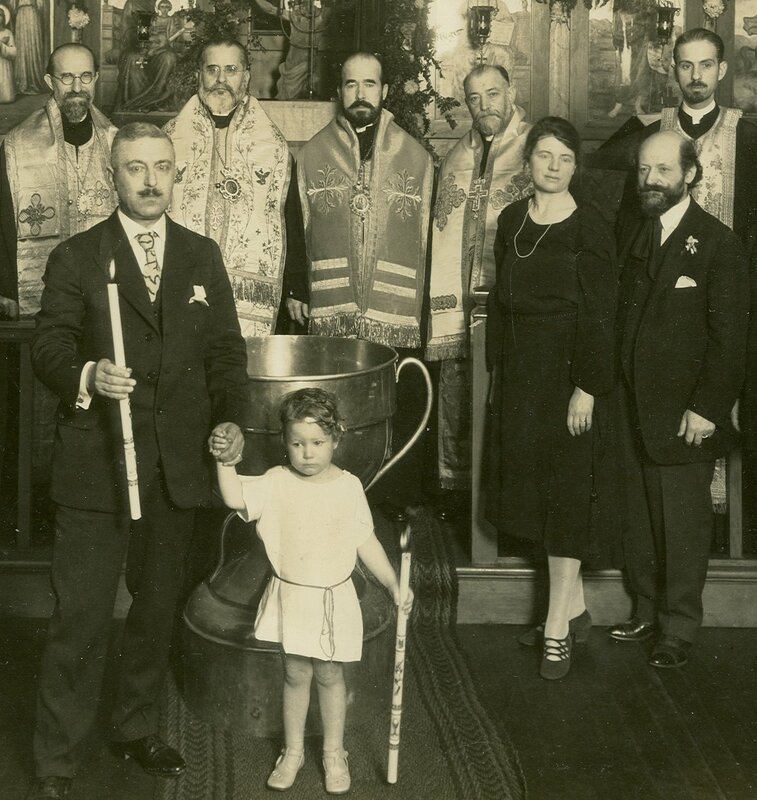 Greeks in the home country and the Greek-American community were split, with great animosities on both sides, between the “Royalists” and the “Venizelists.” The Greek Orthodox Church in America, over time, became the successful mediator for the healing of this schism in the USA. In 1904 or 1905, Alexander and a Michael Antonakopoulos started the Greek-language newspaper Eirenikos, “The Pacific.” Eirenikos was the first Greek-language newspaper published in on the West Coast. It was published until 1911. By this time Alexander had met George D. Papageorge, from Samos, Greece, and the two started Prometheus, the successor to Eirenikos, published until 1935. Alexander died in 1934 at the age of 58. His USA citizenship documents arrived two years later. Clara Lucille Harpending was born in January 1872 in New York City where her father often stayed to conduct financial affairs. 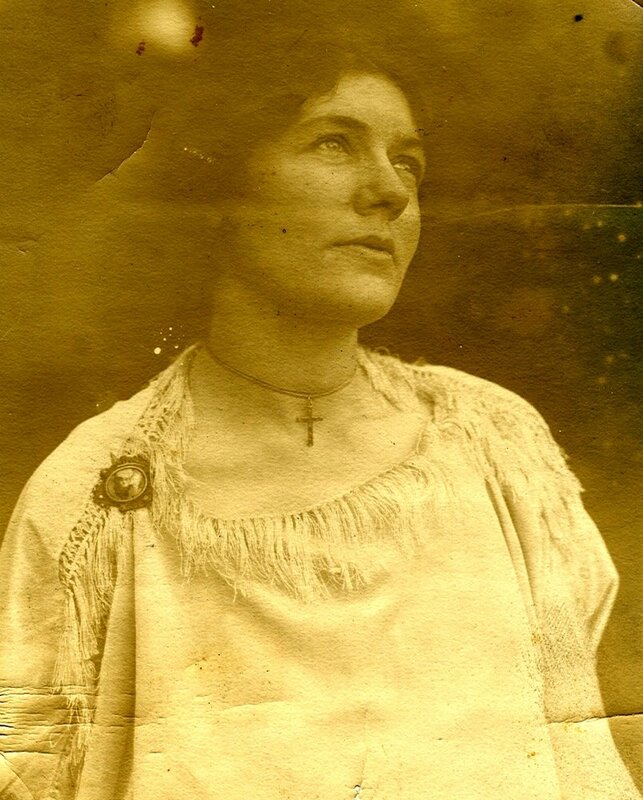 She was the first of five children of Asbury Harpending Jr. and Ira Ana Thompson Harpending. 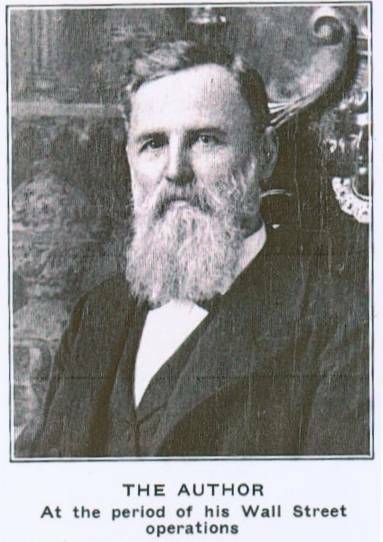 Soon after her birth, Asbury returned to his birthplace in Kentucky to show off his wealth, to build a mansion, settle down to enjoy his fame, and to increase the size of his family. After the death of the second child, Gertrude, at around age two, the family of three moved to Oakland, California, across the Bay from San Francisco. Lucille eventually had two brothers, Asbury III, and Albert, who seemed to have had the same adventuresome nature as their father. They left home for parts now unknown as soon as they were able. Asbury III seems to have married a Japanese woman. Lucille’s sister, Mary Genevieve, was born when Lucille was 11 years old and thus began years of sibling rivalry to last until Lucille’s death at age 62. During her lifetime Lucille became a pianist, a poet, a scholar of Ancient Greece and of history in general, and an aficionado of the arts and letters. All these interests and some talents she passed on to her son, Constantinos, directly and through tutors and special schools. She was 39 years old when he was born, her only child. She raised him in the presumed style of a privileged child in Ancient Greece until the reality of the modern world wrested him away from her vision. She became enamored of Isadora Duncan, as did many young women of privilege in the decades surrounding the year 1900. Isadora was at the height of her career and influence in 1909 when her brother, Raymond, visited California for two years and established a base in Oakland where the sisters then lived with their father at 2607 Fruitvale Avenue. Lucille and Genevieve attended lectures and took classes from him and, when at their Mill Valley residence, would don Raymond’s designs of ancient Greek clothing and dance and pose in the style of Isadora in the nearby fields and hilltops. Lucille was 37 when introduced to the teachings of Raymond Duncan, and her sister Genevieve was 26. Accompanying Raymond was one George D. Papageorge purporting, perhaps accurately, to be or to have been Raymond Duncan’s business manager. George became acquainted with Alexander and the two became partners in the Prometheus in 1911. (The influence of Isadora and Raymond Duncan on the Harpending daughters is more thoroughly explored in a previous “Notes for a Memoir.”) With Raymond Duncan and Isadora Duncan and Ancient Greece as loci of attention and interest for the two Harpending sisters, it came about that Alexander married Lucille and George married Genevieve. I cannot help but imagine and believe that George D. Papageorge, a consummate promoter, engineered these unions, especially with an eye toward the fortune of the partners’ future father-in-law. Alexander and Lucille were ill-matched and she soon descended into great daydreams of imaginary, god-like lovers (although chaste in her yearnings)—shown clearly in her poetry and other writings. Alexander remained true to her, including her in all his busy work in the Greek-American community of the San Francisco area. As a wedding present to his 39-year-old daughter and her 35-year-old husband, Asbury gave the couple a two-year honeymoon cruise in Greece where my father, Constantinos Harpending Pavellas, was conceived and born. 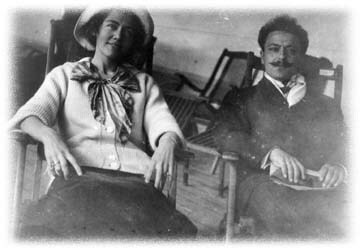 Both Lucille and Alexander died 20 years later, she in a mental hospital and he from “stomach cancer.” These 20 years began quite happily and fruitfully, but as their patron’s, Asbury Harpending’s, fortunes declined—and especially as the world’s fortunes declined in the 1930s—life became a terrible struggle for mental and physical survival. Their world centered around the Ancient Greek cultural revival promoted by Isadora and Raymond Duncan, and activities in the Greek immigrant and Greek-American communities where Alexander was prominent. He was Godfather to many children, including my future mother, Artemis Helen Pagonis, and his nephew Nestor Palladius. Asbury Harpending, Jr. died in 1923, in New York, trying to revive his failing fortunes. Alexander and his brother-in-law, George D. Papageorge-Palladius spent the next eleven years liquidating the remaining available assets of Harpending and searching fruitlessly for the titles to assets in other countries in order to support the family of four adults and two children. During this time Lucille was committed to California’s Napa State Hospital. 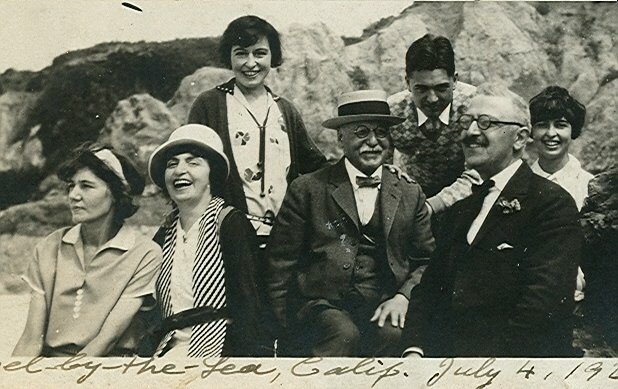 Constantinos, their son, had been supported in his intellectual and artistic pursuits and was a senior at the University of California when they both, and Papageorge, died in 1934. Conrad, as he thenceforth wished to be known, was 20 years old. Two years later, in the middle of a personal and worldwide financial depression, he married the 17-year-old Artemis Pagonis. My father, Conrad H. Pavellas, never forgave himself for his role in committing his mother to “Napa.” He died in San Jose, California, in 2000 at age 87. Mom died in a residential home for the aged, in the same room with her older sister, Beatrice, at age 90. This entry was posted in Family, Memoirs and tagged Alexander K. Pavellas, Artemis Helen Pagonis, Asbury Harpending Jr., Clara Lucille Harpending, Constantine Harpending Pavellas, George D. Papageorge, Ira Ana Thompson Harpending, Konstantinos Pavellas, Mary Genevieve Harpending, Nestor Palladius. Bookmark the permalink. Howdy, I have a Berkeley High “Manuscript” magazine of the High School. There is a Constantinos Pavellas that wrote a story called Decadence, within. Yes, Constantinos was my father who later changed his name to Conrad. He loved Berkeley High so much he wanted me to attend, so he moved the family from San Francisco to Berkeley so I could attend in my senior year. May I have a copy of this story?